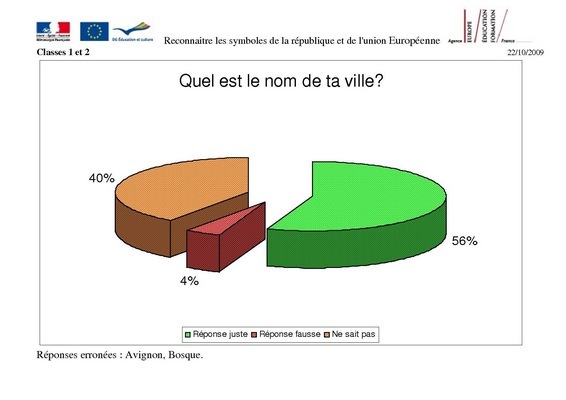 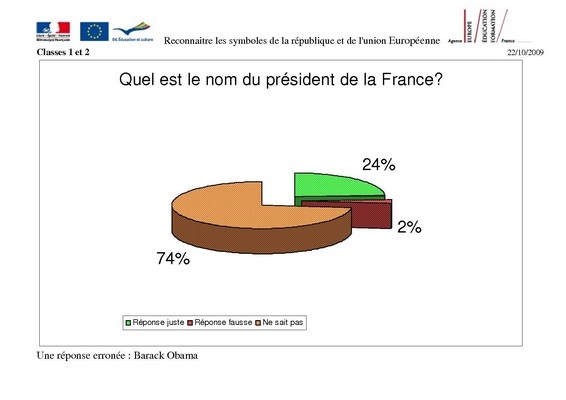 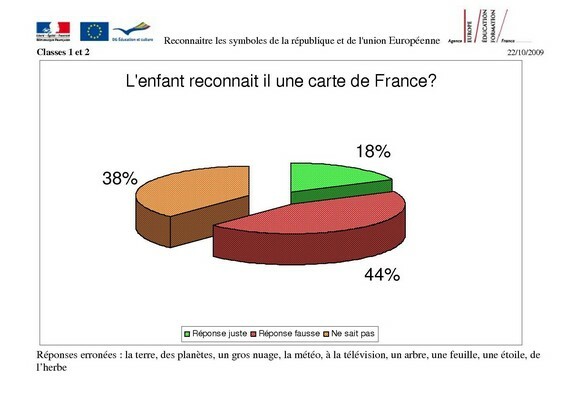 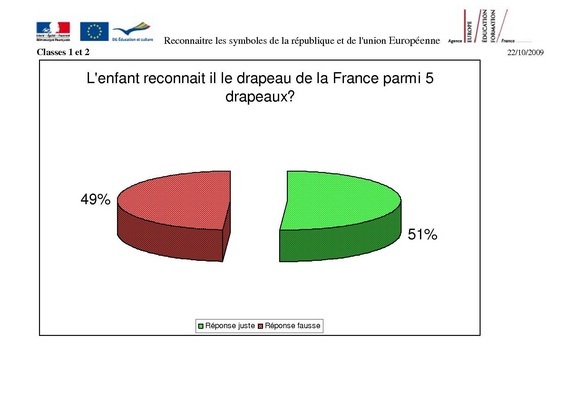 Survey made in October 2009 with children from four and a half to six years old - from 2 different classrooms. 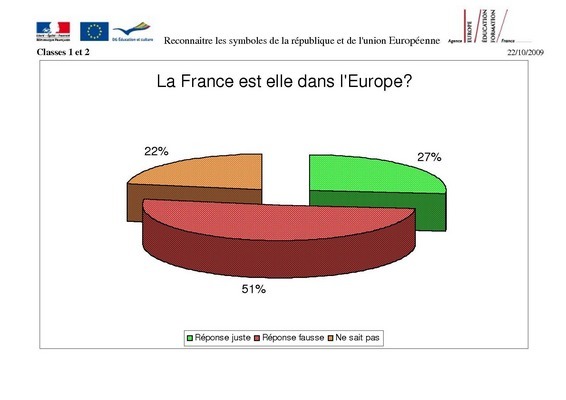 We notice that the notion of country, Europe and national identity does not make sense for most pupils. 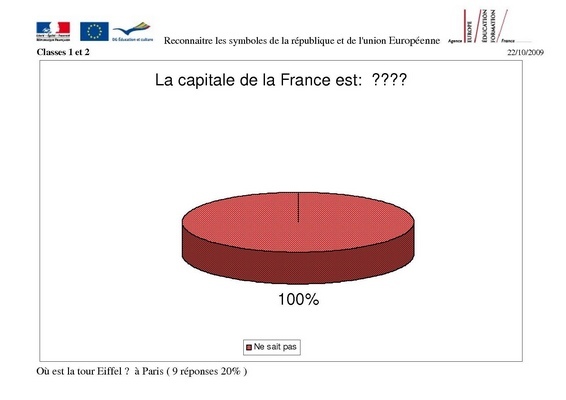 How can we develop these representations ? 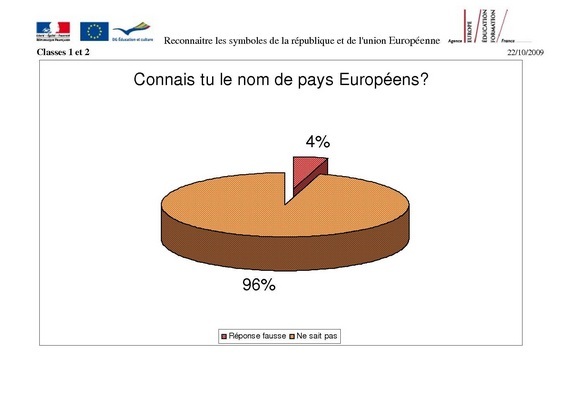 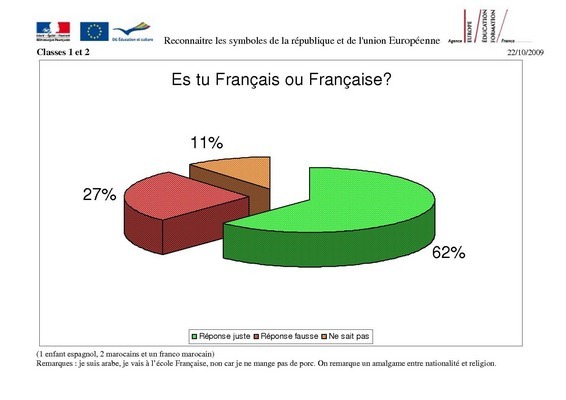 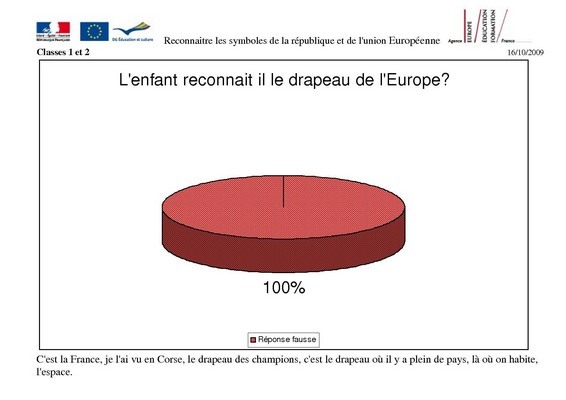 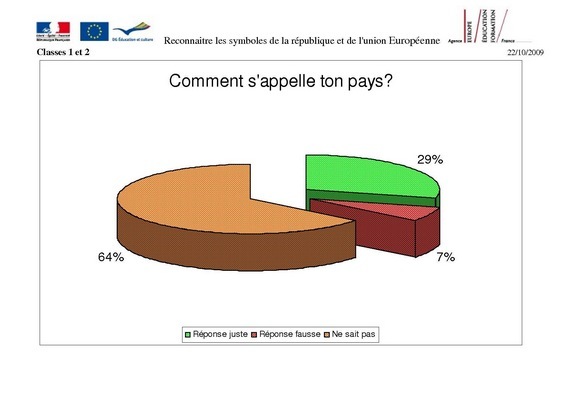 If our European partners make the same survey among their pupils, what about their results ?